I was invited to attend a gallery breakfast tomorrow at Anthropologies Rockefeller Center location but of course being in Germany it is not possible (obviously!) I hope that another blogger will attend and blog about it because I'd love to see how the event turns out. It features the work of former Anthropologie visual director (for 8 years) Leslie Oschmann (full bio here) and after you view her website I think you'd also want to see her work up close and personal. Wow. Great stuff. 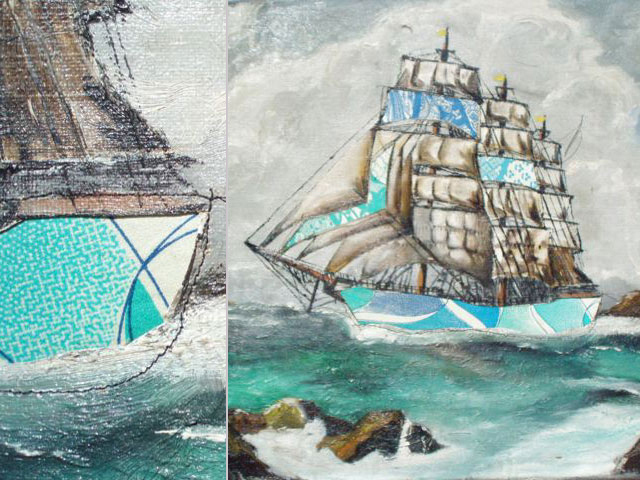 I think it will make you look at vintage paintings a little differently, especially the ones that you find at flea markets that could use a little love... Why not add some of your own creativity to them like Leslie does? 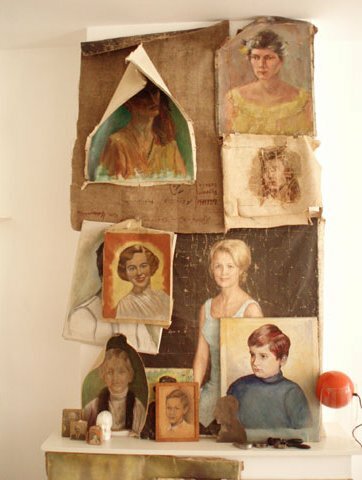 Leslie relocated from the states to Holland and now has an Amsterdam-based studio called Swarm Home where she gives new life to old furniture and paintings found in local flea markets. Have you seen her work before? It's just lovely. 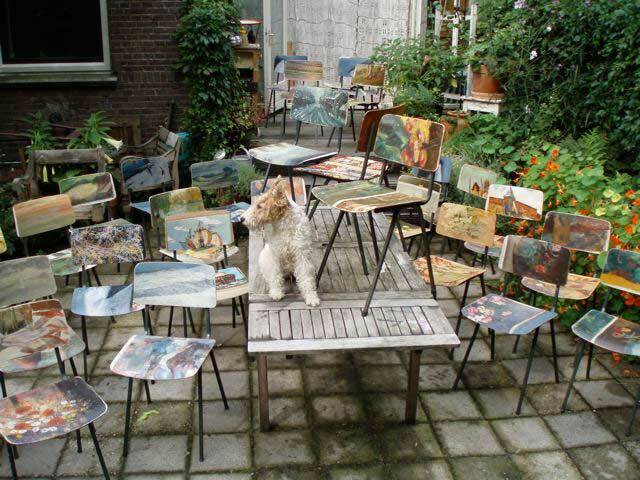 I'm quite impressed with her painting, I wonder if she is also doing decoupage in her work? 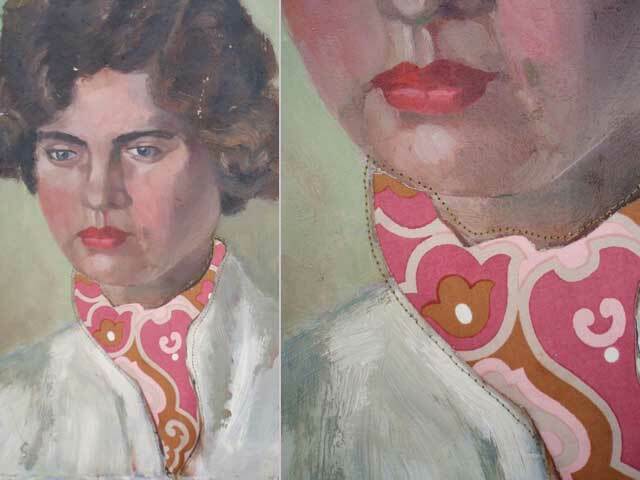 I do see some needlepoint on a dresser door below that I think is exquisite and I really like the application of silk on vintage portraits because it makes the painting feel much more current and fun. I adore mixed media art and enjoy viewing how Leslie uses many different materials to create art, combining unexpected materials takes so much talent and skill. Leslie is just one of many artists out there doing exciting things with found objects... have a look around her website and see for yourself -- it is quite a fantastic visual trip! Tip: For those who cannot paint like the talented Leslie, no worries! 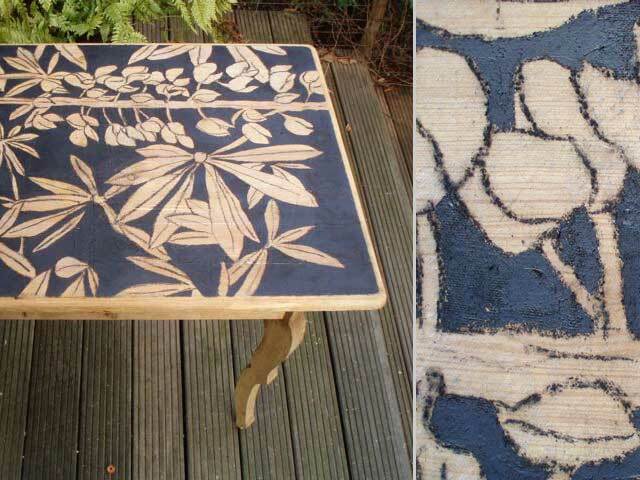 Have you thought of decoupage as an option? It can be done really well and seems to be gaining popularity again here in Germany (and northern .Europe in general) I love seeing decoupage, stenciling, and stamping making a comeback because it was somewhat snubbed in the interior design world and referred to as being, "Soooo bad 1980's" or "Craft store kitsch" but if done right (take Wary Meyers for example), I think that it can be lovely. I had this feeling that the decoupage 'trend' could come back but when my friend gave me the current copy of the German Elle Decoration and I saw a complete spread on decoupage (used on bespoke furniture) my suspicions were confirmed. 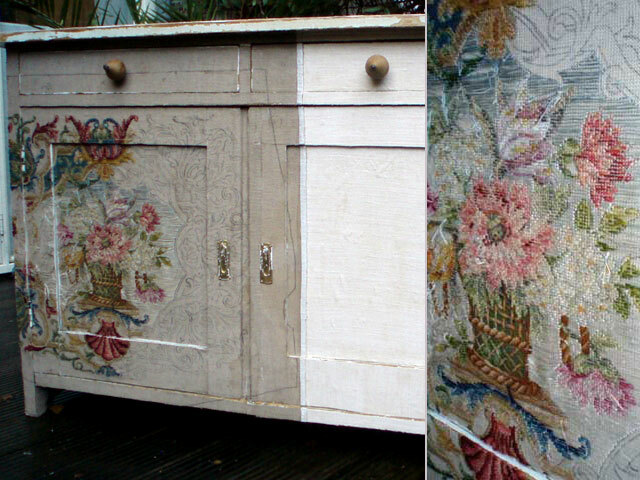 Decoupage can be done right.